"This cheesecake makes a dramatic presentation with its two layers of white and pumpkin." I can't get enough! 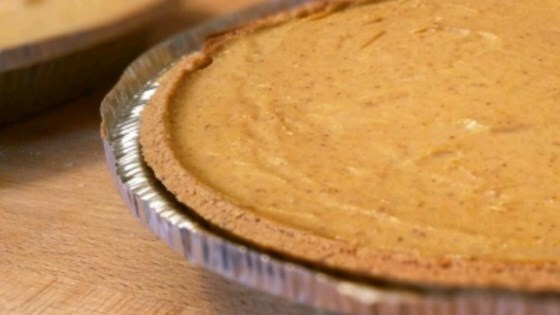 If you like cheesecake and you like pumpkin pie, you will love this one! It's a perfect mix of the two. Top with some Cool Whip and there is a perfect pie! This is the best! Made it several times and it's been a hit each time. Comes out perfect - even using store bought graham crust! Do not change a thing - perfect as is! this was my first cheesecake, it came out perfect. everyone loved it. look no further.